Standing all day is a requirement of many occupations such as nursing, retail industry, hotel industry (chefs), security personnel etc. Your legs, especially feet carry all the weight of your body while standing. When you are standing, your body has to constantly work against the force of gravity, thereby producing constant tension in the muscles of your legs and feet. 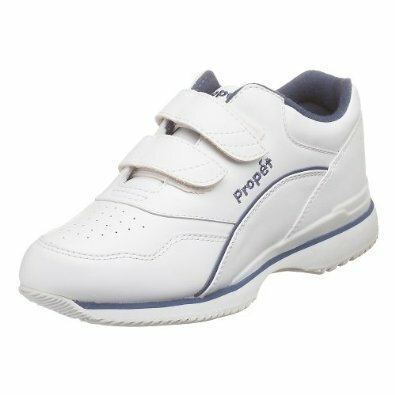 A good pair of well fitted shoes that not only provide comfort and relieve foot pain but also prevents the joints and muscles of the feet and legs from overuse injury. Here discusses various factors that you should consider while buying a good pair of shoes and also describes some of the best shoes for standing all day available in the market. It is never easy to select the right pair of shoes for your feet; the task is made even more daunting by the increased availability of a variety of shoes in the market making tall claims of providing comfort and preventing injury. So what points should you consider before buying the best shoes for standing all day? There are certain general or overall factors that should be considered before buying shoes. It is a popular belief that completely flat shoes are the best option for your feet. However, this is not true, as Occupational Health Clinics for Ontario workers recommend that your heel should be a minimum of ¼ inch so as to provide a good arch support. Similarly, it is recommended to not purchase shoes of heel 2 inches or higher. Shoes with wide toe box can be take into considerations when selecting the best shoes for standing all dya. When you are standing the whole day, your feet have a tendency to swell and become wide. Hence, you should always buy your shoes in the later part of the day, when your feet and the toes are the widest. You should always choose shoes that have a wide or broad toe box so as to accumulate your swollen feet at the end of the day. Choose a pair of shoes that have either laces or a Velcro Strap attached. Shoe lace or Velcro Strap acts similarly to a seat belt; it prevents unwanted movement of your feet. 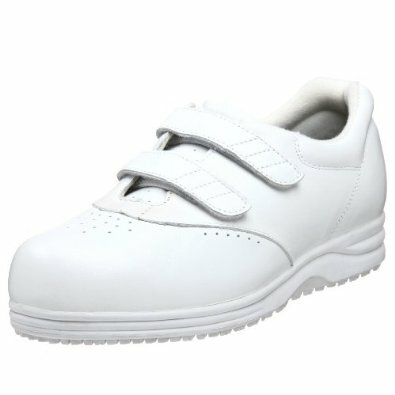 Such shoes prevent your feet from sliding in the forward direction while you walk, thereby protecting them from injury. Shoes that have an adequate arch support should be chosen over shoes that have a discount. 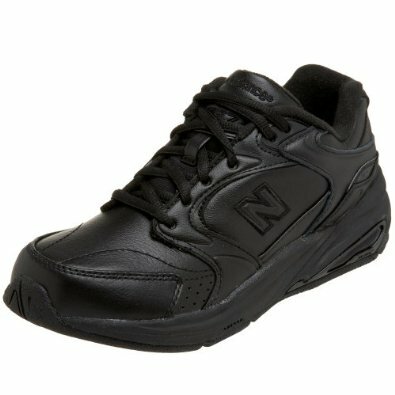 It is best to buy shoes from a retailer specializing in work shoes. You can also purchase an orthotic and place it as an insole in the shoe to customize the shoes according to your requirements. 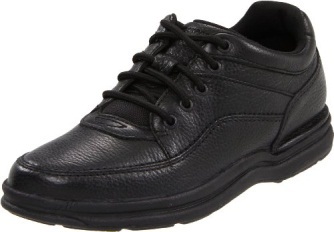 This shoe is very comfortable and is specially designed for people who have to stand all day. The insole is soft, shock absorbing and is made of breathable material, thereby, keeping your foot cool and dry. The shoes have adequate arch support, and a wide toe box. 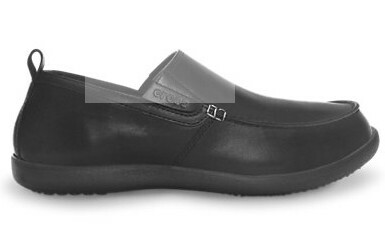 This shoe has great foot bed and wide base making it an extremely comfortable shoe to wear. There is extra padding inside the shoe that prevents blisters from happening. It has replaceable and easy to maintain soles. It has all the features you need with the Crocs comfort you love. The handsome leather upper gives you a professional look while the sole is slip-resistance, which all makes standing a whole day a piece of cake. This shoe has a padded lining and foot bed making it very comfortable to wear, especially for females who have to stand for long durations. It has perforations in the upper design that keeps the foot cool and dry. It has Velco straps that prevent unwanted movement of your feet, thereby preventing injury. Another great and popular shoe for women who have to stand all day at work, this shoe has excellent foam foot bed cushioning. The fabric used inside dries quickly, thereby keeping the shoe moisture free. Why Do You Vomit after Exercise? Why Can I See my Veins? Is Sweating Good for You?